What is the plural for Bobby? Ah ha, the things you will learn on this blog my friends! The plural for Bobby (slang for an English police officer, named after the man who first organized the British police force – Sir Robert Peel) is Bobbies. “Bobbys” is not a word in the English dictionary. I’d love to tell you where this image on the left came from and give credit where credit is due, but I have been unable to chase it down further than here. Also of interest in this subject line is that the Constables were also called Peelers (the name obviously coming from the same man) and that Peel established several principles of policing that are still very relevant today. You can read his nine principles here at the New Westminister Police Department website. The uniforms for the Bobbies varied, but you should see how the helmets changed! 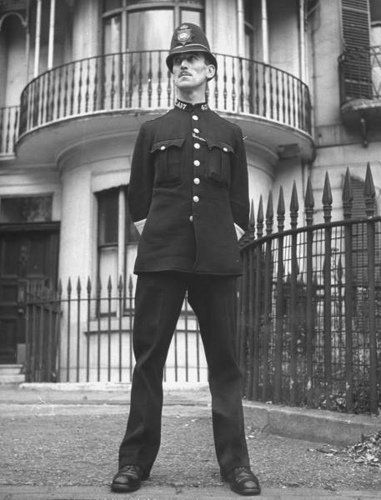 There’s thankfully an entire site dedicated to archiving images of historical helmets of our favourite British Constables here. Posted on July 17, 2013 July 17, 2013 by Angela MisriPosted in Detective, Fiction, Research, WritingTagged bobbies, bobby, british, police, portia adams, research. Sounds like you did your research. Will do Christine, I have a feeling you’re a more valuable resource on the subject than the inter webs! Haha. I suppose you’re right!